Mrs India Pageant, the One and only contest in the India for married woman and only platform gateway to World’s premium beauty Pageants was hosted Grand Finals of Nationals of Mrs. India 2017 at Chennai on 4th July . 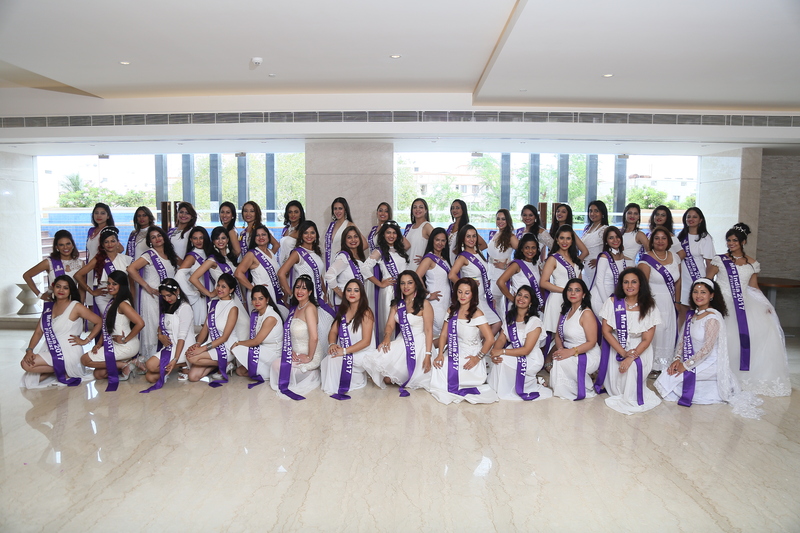 Before Mrs India 2017 Nationals Mrs. India completed Nationwide Auditions at Zone and state level after which Mrs. India’s Zonal and State Pageants took place. Winners of Mrs India North 2017, Mrs India South 2017 and Mrs India West 2017, Mrs India Karnataka 2017, Mrs India Kerala 2017, Mrs. India Rajasthan 2017, Mrs. India Himachal Pradesh 2017 and Mrs. India Chhattisgarh, Mrs. India Goa 2017, Mrs. India Jharkhand, Mrs. India North East 2017 eligible to enter into the final round of Mrs. India 2017 hosted on 4th July in Chennai at Feathers hotel. Mrs. India held momentous events right from nationwide auditions for Zones and States to select finest talent and then successfully hosted Mrs. India’s Zones and Mrs. India’s State Level Pageants making it Largest Pageant platform in India. Mrs India conducted various contest such a Mrs India Gourmet Queen by Spice Club , MyCityWoman, Beauty With Heart . Mrs India’s Beauty with Heart! While most pageants focus only on looks, Mrs. India stands apart by celebrating the confidence, attitude and achievements of a married woman. The contestants actively took part to help and support various social causes like women empowerment, education, environmental issues, mental health and more as part of the selection process. Mrs India 2017 Grand finale was larger than life experience with 46 Contestants participating for coveted title from all across nation and globe. Grand Finale was opened with Tribute to nation with Vande Matram song was played by walking Violin of India Dr Aneesh Vidyashankar where 46 Contestants walked the Ramo onl live music draped in 46 different styles of 9 Yards of Finest Silk of South India by Nalli Silks ,A heritage brand . Mrs India 2017 saw a unique and magnificent National Costume round where contestant not only displayed beautiful garments but send across a nation through National platform to case their culture with pride, few contestants celebrated Indian heritage while few sent a national message. Mrs India 2017 Gown to Crown. Beauty pageants are incomplete without Gowns and Crowns, Mrs India 2017 saw breath taking beauties of Mrs India 2017 walking the ramp with almost elegance and grace. Top 25 were selected out of 46 Contestants who appeared for Question and answer round and ultimate winners of Mrs India 2017 and Classic Mrs India 2017 winners were crowned as follows. Mrs India 2017 was a spectacular success that saw a exponential growth and reached each and every part of India . Big Congratulations to all winners and participants of Mrs India 2017. Mrs India winners now will participate in International platforms representing India and making India proud. Mrs India is trademark of Mrs India Pageants and Productions Pvt Ltd, Official Host of World’s premium beauty Pageants .. The Pageant is founded by Ms. Deepali Phadnis, Founder of Mrs. India and former Mrs. Asia international. Mrs. India is the only beauty pageant for married women in the country allowing them to come together in a celebration of not only their beauty, but their Talent, Glamour and Culture. Mrs India is first Pageant to introduce Classic category in India ,where Woman above 40 Years of age can particpte in separate category . Mrs. India is pioneer of hosting International preliminaries ever in India to know more, visit the following websites as follows .